The Maruti Suzuki Celerio X is based on the updated Celerio hatchback and comes with bold crossover styling and new features. Few dealers have been accepting bookings for the car for a token of Rs. 10,000. 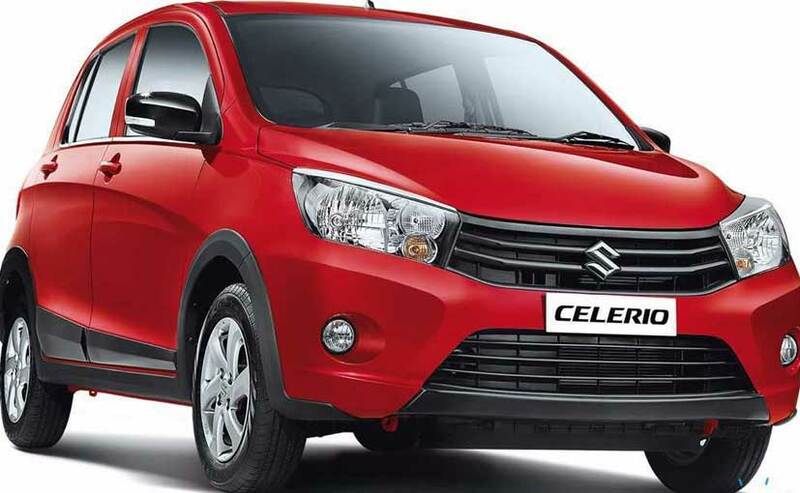 The new Maruti Suzuki Celerio X will the next launch from the Indo-Japanese carmaker and the car is expected to go on sale in India this month. Several Maruti Suzuki India dealers have already started accepting bookings for the car for a token of ₹ 10,000 and we expect the car to be launched before this Diwali. While we have already shared some of the features and specification of the upcoming Maruti Suzuki Celerio X, here's all you need to know about the new cross-hatchback version of the Celerio compact hatch. While the new Maruti Suzuki Celerio X comes with some extensive crossover-like styling and features, the car is not exactly a crossover car. In terms of dimensions, the new bumper, side cladding, and roof rails have made the car slightly longer at 3,715, wider at 1,635 mm and taller at 1,565 mm. At the same time, the wheelbase remains unchanged at 2,425 mm and the ground clearance has gone down by 45 mm. The new Maruti Suzuki Celerio X will primarily come in four variants - VXI, VXI AMT, ZXI and ZXI AMT, along with option package for each one of them. From the rear, the top half of the Celerio X is identical to the regular Celerio, but the lower section gets a new rear bumper with heavy plastic cladding and a diffuser. The crossover elements have added in the form of the wheel arch cladding, side body cladding, roof rails, and rear diffuser. The car also comes with a new set of 14-inch alloy wheels. The Celerio X will be available in five exterior colour options - Orange, Blue, Brown, White and Grey. The Celerio X comes with an all-black cabin with black seat covers sporting geometric patterns and orange accent lines for the front seats. Features include - a driver side seat height adjuster, tilt adjustable steering, steering mounted audio controls, keyless entry, rear wiper, washer and defogger. On the safety front, driver side airbag and driver seatbelt pretensioner are standard across all variants, while passenger airbag and ABS are offered only as an option. The Celerio X continues to be powered by the same 998cc, 3-cylinder petrol engine which makes 67 bhp and 90 Nm. The model will be offered with a choice of a 5-speed manual gearbox with an option of a 5-speed AMT.